BJP MLA Raj Purohit and MIM MLA Waaris Pathan talking to the media on the issue of Vande Mataram, at Vidhan Bhavan in Mumbai. 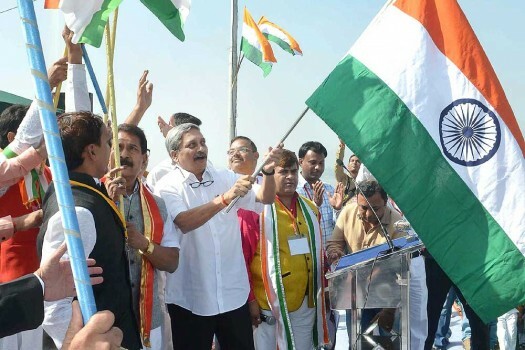 Defence Minister Manohar Parrikar waves the Indian flag at a Vande Mataram singing programme organised by Hindu Adhyatm Seva Sangam at Fateh Sagar Lake, in Udaipur. 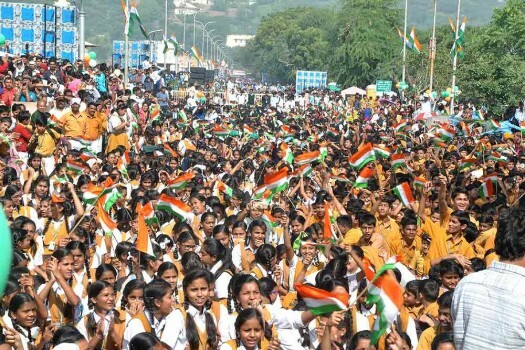 More than fifty thousand students gather to sing Vande Mataram at an event at Fateh Sagar Lake, in Udaipur. 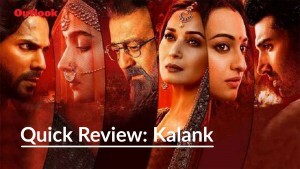 The video of the incident has apparently gone viral on social media after which Hussain too stated that he had not said ˜Vande Mataram" as the same is against his religious belief. Raising the issue during the Zero Hour in the Rajya Sabha, SAD member Naresh Gujral said, "To change the name of a minority institution is a direct assault on the feelings of Sikhs." 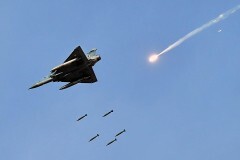 "Vande Mataram mane maa tujhe salam. Kya samasya hai? Agar maa ko salam nahi karenge to kya Afzal Guru ko salam karenge? " 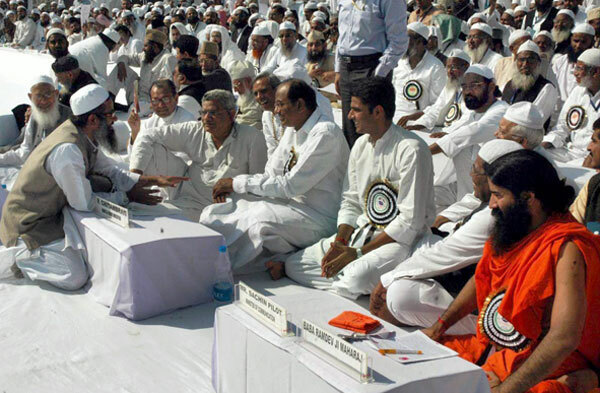 The event is being organised in association with the Rajasthan Youth Board (RYB), an organisation under the department of youth and sports, and the RSS-backed Hindu Spiritual and Service Foundation. "Nationalism inspires a sense of service among people. I feel it should be a practice at all government offices, there should be no hesitation in being nationalist." 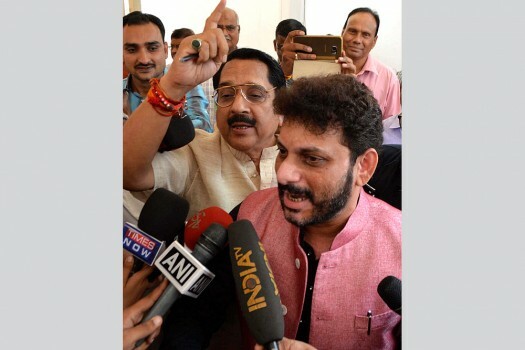 The meeting of the Aurangabad Municipal Corporation (AMC), ruled by the Shiv Sena-BJP combine, started in the afternoon with the national song, 'Vande Mataram'.